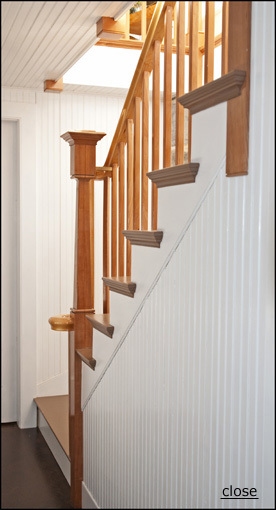 renovation of an 1820s stately Federal style home. 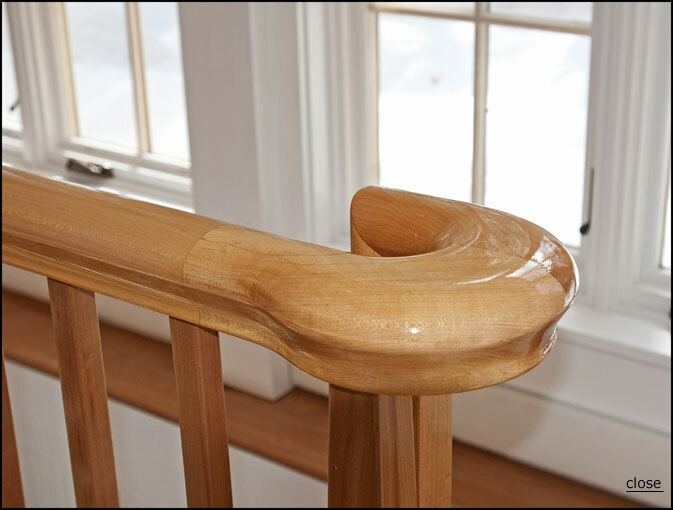 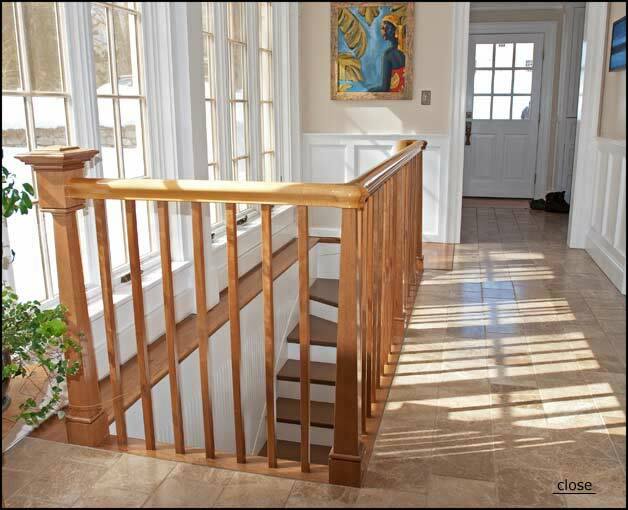 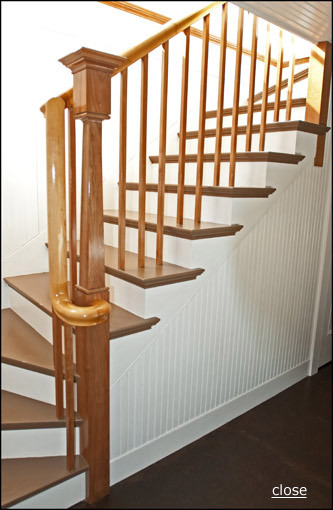 handrail is made from white (sapwood) maple. 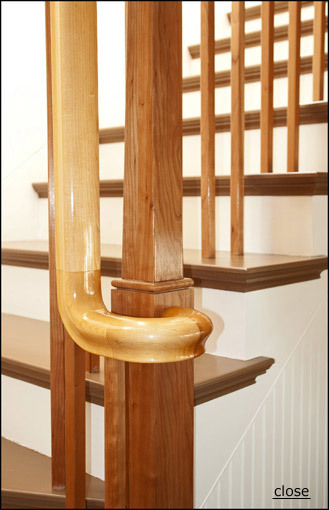 ends in a creative way into the lower newel post.